Hey. New around here, but a LONG-time StarTropics fan. In fact, so is my brother. 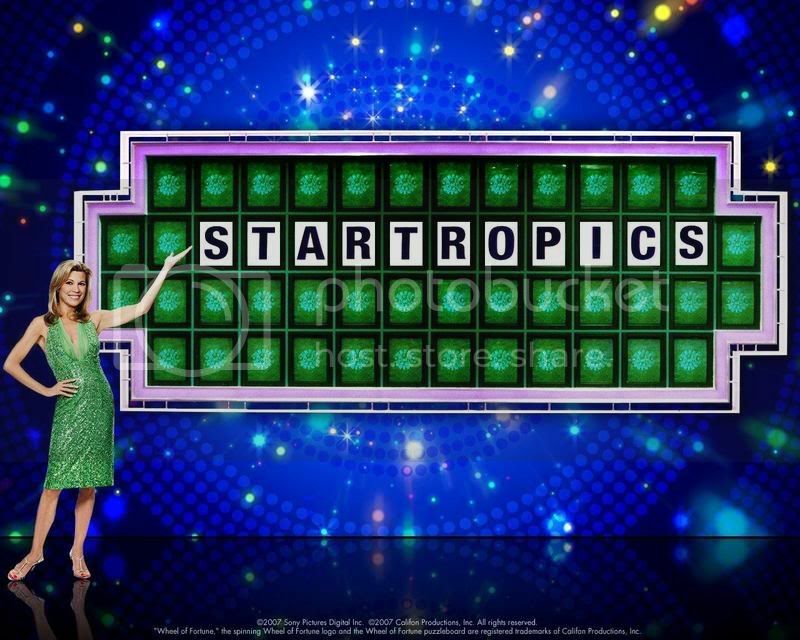 Anywho, I didn't even know there were enough StarTropics fans for a forum like this, so you can guess why I jumped at the chance when I happened upon this during a random search. Might want to warn you, though, I have a tendency to drift in and out of places every few months. If you don't hear from me for a while, just wait- sooner or later, the StarTropics bug'll hit me again, and I'll come waltzing back in when you least expect it. I'll admit it, I read through most of the threads here before I joined, and I was really inspired by a lot of the ideas you guys had. The title is what I'd LOVE to see the threequel titled, particuarly since it'd mean a return to the island charm of the first game (not that I disliked the time-travel in Zoda's Revenge, mind you, it's just that the South Pacific flair is part of what gives the series its unique flavor, y'know?). Incidentally, if they made the POSTER for the threequel something like this, I'd be thrilled- I love the idea of Mike being in front of the three for some reason. Hardest part was copying the font used on the box for the first game. Apologies for the eraser marks- I have a bit of a problem with pressing too hard, so it makes it REALLY hard to erase things properly. BTW, how old can a topic be before it's dredging? There's a LOT of discussions I want to get in on, including the Perfect Startropics thread (which is, incidentally, what gave me the idea for this one), but, well, past forum experience has left me with a healthy fear of dredging. And if this thread is in the wrong section, forgive me- I AM new, after all! First of all, welcome to the C-Island Forum sonic332! It's always great when new Startropics fans register . I really like your drawing. I really like the way that you drew Mike using the yo-yo and the font turned out very nicely in the end ;D.
As far as bumping old topics goes, feel free to bump anything that you like as long as your reply is contributing something new to the topic. I wouldn't mind seeing a few of the older topics come back from the dead, anything that might create some discussion sounds good to me . So once again, welcome and enjoy your stay! P.S. You did post this topic in the right section ;D.
Feel free to hop into any thread and discuss away and share your ideas! I hope you do stay around, though. Love that idea, especially the subtitle, I guess Island Courage is fitting for a ST3. I think we can all agree on the fact that the time-travel wasn't as epic as the island hopping from the first game. I could rant on and on about what went wrong, but there are specific boards for those. Anyway, sweet pic! 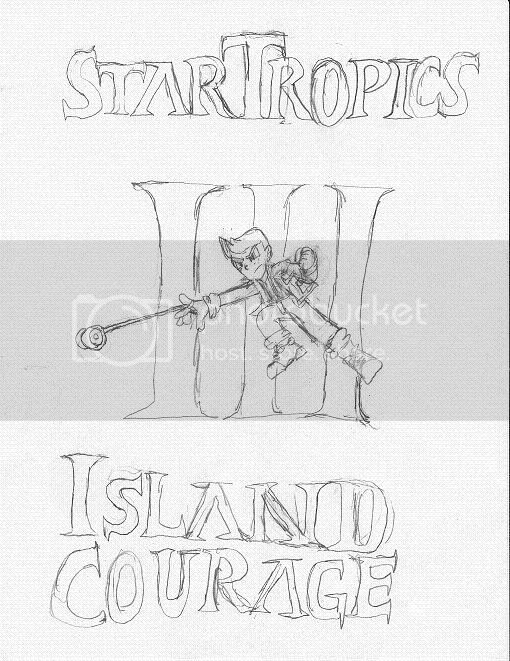 I guess we all dream about seeing the tall I I I under or beside the STARTROPICS title. Question is how do we get NOA to notice this? Anyway, don't worry about it and just enjoy your stay. Welcome sonic and... brother tails? There's a lot of art and ideas mixed in this forum, you bet. Some of it you have to search deep for though, but don't be afraid to bump old threads or what have you, we have no problems with that at all, and we like to hear what everyone has to say about ST (especially if it's positive stuff). Great job so far! Enjoy your stay! Thanks for the advice and the warm welcomes, everyone! It's really great to have found this place.